This body massage utilizes light touch that instantly melts away your tensions, giving way to total mind and body relaxation. The soothing aroma of chamomile lingers softly throughout the treatment calming even the tensest muscles. 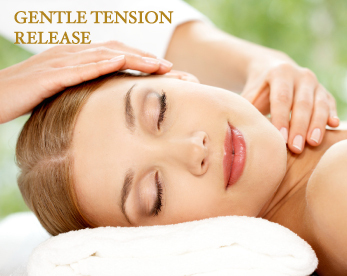 A mildly modified version of our 60-Minute Gentle Tension Release Massage. Targeted work, concentrating on the back, neck, and shoulder areas.